Discovering and rediscovering Wisconsin. A travel blog. There was one positive thing to come out of this freezing cold morning. The temperature was -2 degrees when I left for work, but Lake Michigan made up for it. 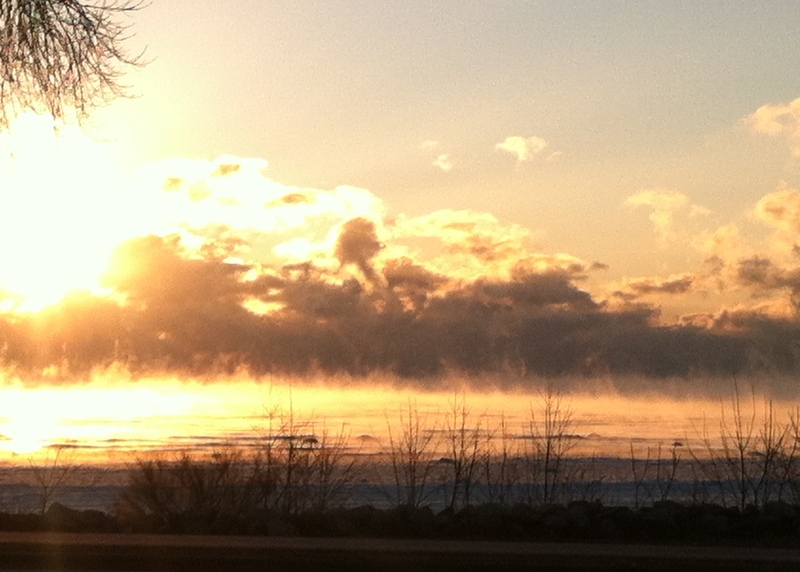 It was so cold out, the lake was steaming as the sun was coming up. It was one of these rare, beautiful moments when Milwaukeeans actually stop their cars on the way to work to look at the lake. I only got one shot on the iphone because it was COLD!!! 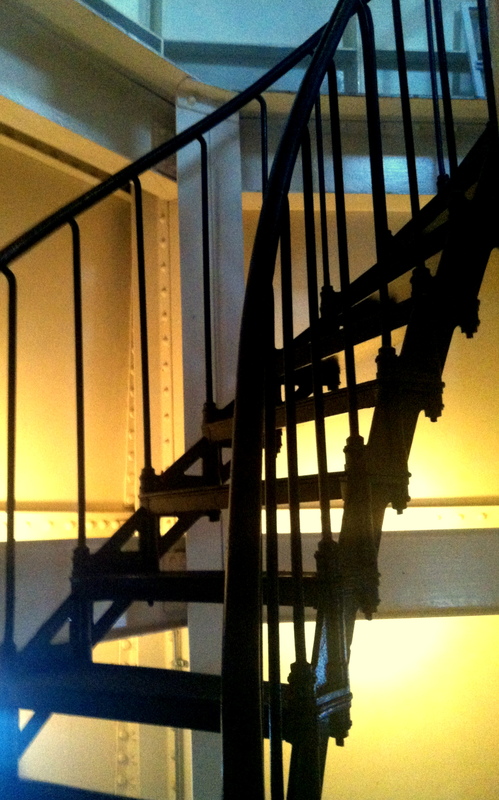 After a brief blog hiatus, I’m back and ready to ward off the winter blues with a little Milwaukee exploration. It’s been a strange Wisconsin winter, yo-yoing back and forth between days that feel like spring and stretches of time with all of the cold but none of the snow. I’ve finally acquired all of the winter gear necessary for a Wisconsinite to go snowshoeing or cross-country skiing, but (and I can’t believe I’m complaining about this…) there’s no snow!! Back in December, we caught a break and had a day with snow on the ground and a cold-but-not-too-cold temperature. 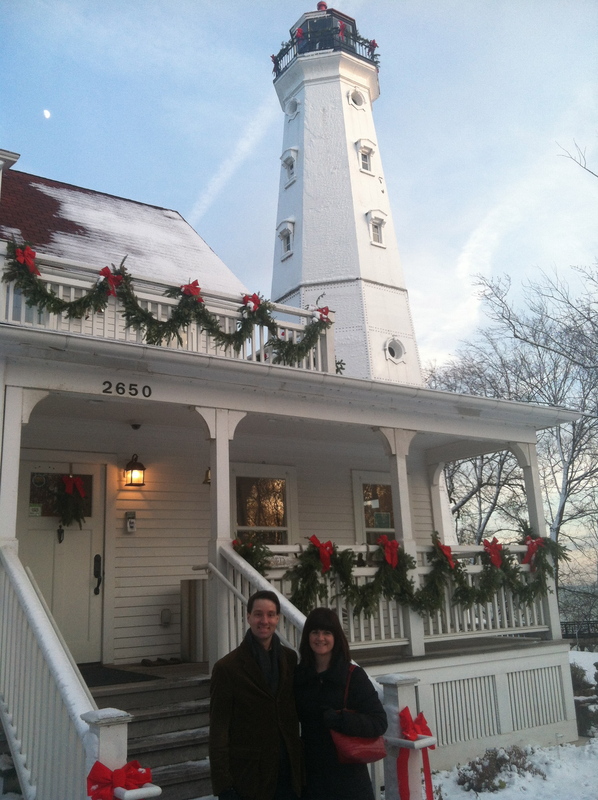 I had a Groupon for a tour of the North Point Lighthouse in Lake Park that was mere days from expiring, so the Koprowski’s + 1 braved the cold and went on the tour. 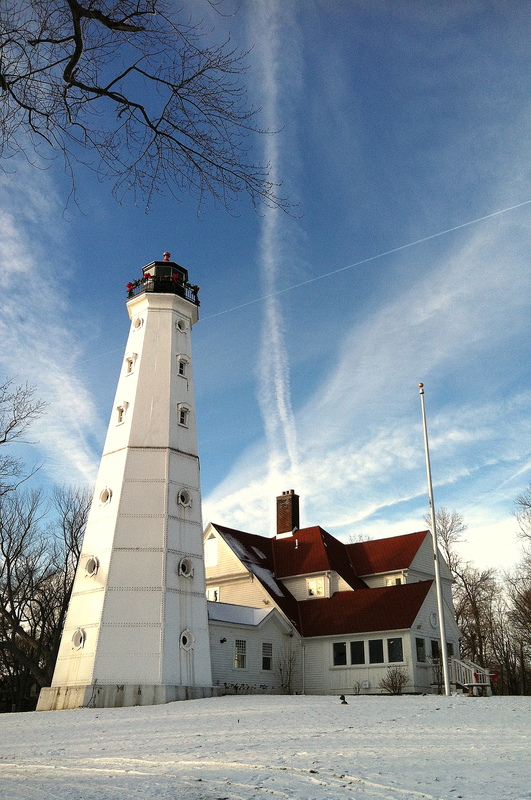 Preserved and maintained since 2002 by a not-for-profit organization called North Point Lighthouse Friends, this tiny lighthouse has played an important role Milwaukee’s history. I don’t normally associate Milwaukee with its maritime role, but the tour/mini history lesson we received was quite interesting. We snagged a docent who navigated us through their small museum collection, including lighthouse artifacts, the Fresnel lens and shipwreck history. I learned that the Appomattox, one of the largest vessels ever built for the Great Lakes, sank just off of Atwater Beach in 1905, a few blocks east of my apartment in Shorewood. It’s one of the less glamorous stories I’ve heard (apparently the ship hit the rocky shoreline, and despite valiant efforts to free her over the span of two weeks, they finally just had to abandon ship and let her sink…), but it’s a Shorewood shipwreck all the same. 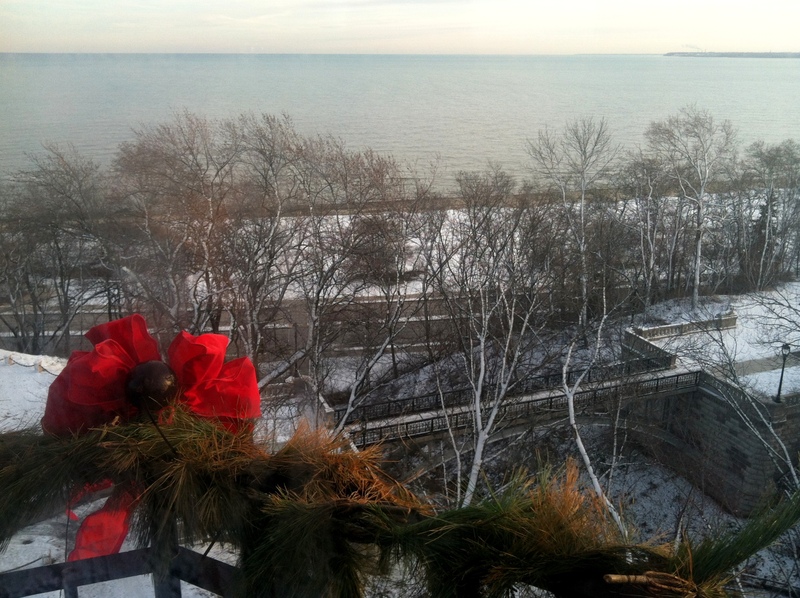 It’s a beautiful view of Lake Michigan and the coast, with a nice little side of history. Interestingly enough (or sad enough…?) I drive past that lighthouse every morning and night on my way to and from work, and I’d never seen it before. Who knew?